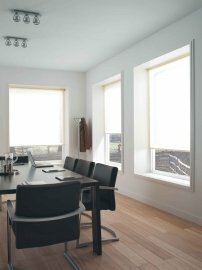 Traditional type blind, most commonly used to dress windows and maintain a certain amount of privacy. 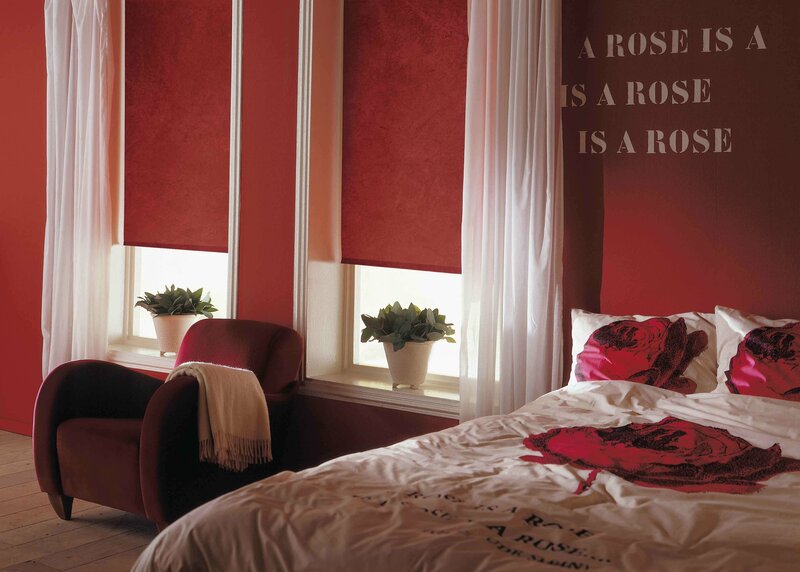 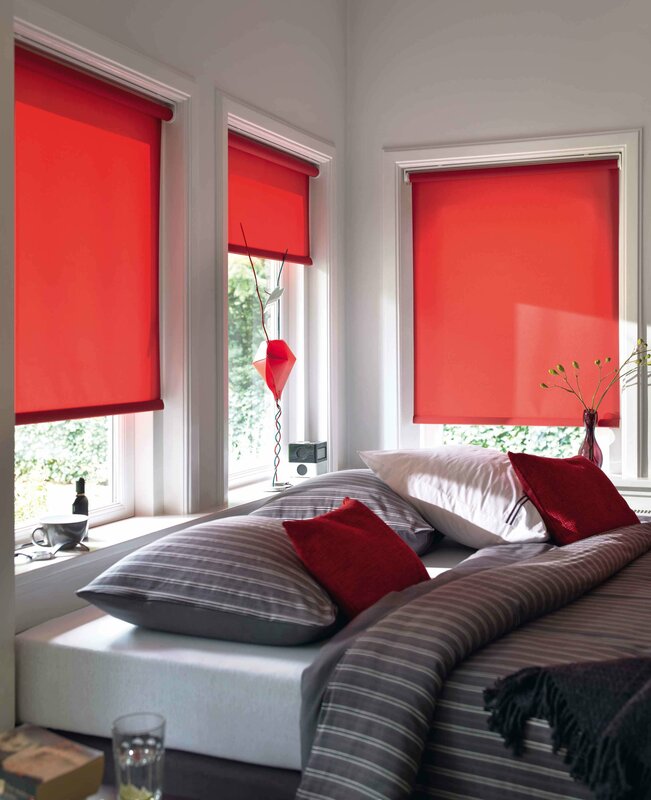 Roller blinds are available with Scallop, Turret or Straight end finish. The fabrics used in roller blinds can be either polyester or acrylic. 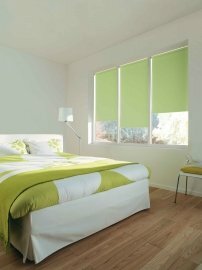 All our fabrics are treated with "Durafresh" and "Anti-fungacide" to eliminate absorption of odours, mildew and rotting. 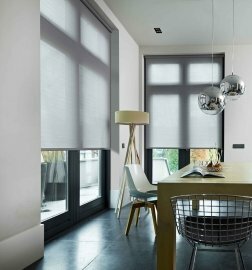 The advantages of using polyester in your roller blind is that it is not as likely to shrink and is more wipeable than non polyester fabrics. 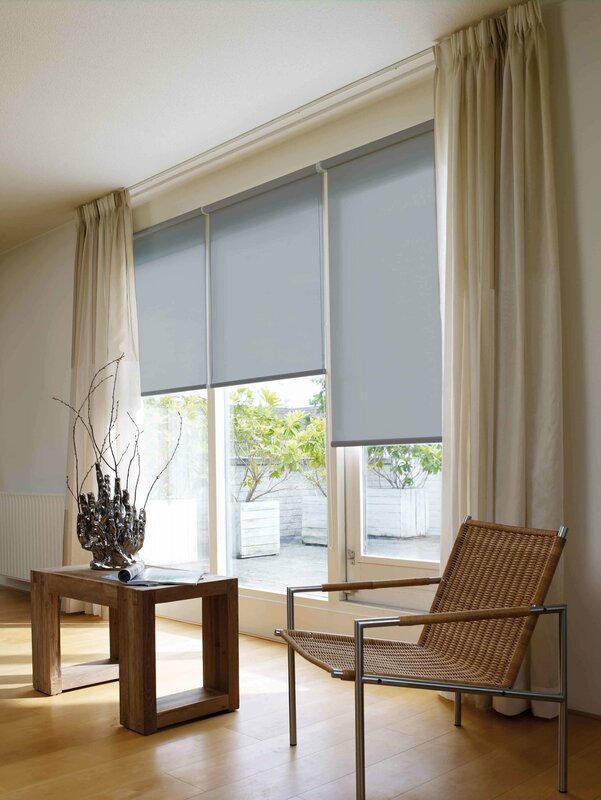 Our roller blinds are made with aluminum tubing making the tubing maintenance free with no corrosion or rotting. Our Roller Blinds are easily operated using our side winder unit which is fitted with a continuous Nickel chain. 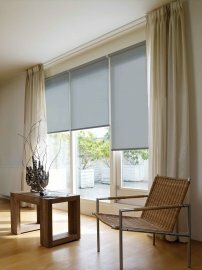 This gives you total control of the blind, you stop it wherever you want without the need to touch the blind, helping to keep it in pristine condition. All our chains are endless, with no joiner, which means no trouble.